Cuenca Grade 8 - this can be compared to a Montecristi Super Fino grade of weave. So this is a nice weave! 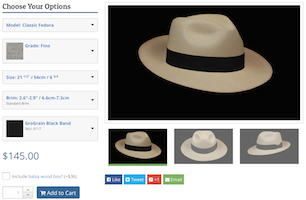 Send us your question about this Cuenca Grade 8 Optimo hat, and we will respond to you as soon as possible. Please type the word "Montecristi"